Keemun is produced exclusively in the Qimen County of the Huangshan City, in Anhui province. The cultivar used for Keemun is the same as that used in production of Huangshan Maofeng. 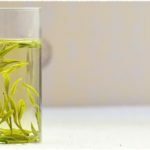 This article is going to show you some information about Keemun tea and how to brew them step by step. Keemun is produced exclusively in the Qimen County of the Huangshan City, in Anhui province.it is widely recognized as the best black tea in china, and also considered one of the best available black tea in the world. Although many people probably aren’t aware of the huge variety of teas available to them, most everyone is familiar with black tea. What most people don’t realize is how much of a variety of black teas there are to choose from. 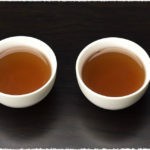 Black teas are currently the most popular types of tea in the United States and Great Britain, and there are many varieties of black teas to choose from. Keemun black tea is one of China&apos;s Ten Most Famous Teas, and is a beautiful tea indeed. 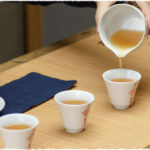 Keemun black tea is also known as Keemun Gongfu tea or Qimen Gongfu tea depending on dialect. Keemun black teas are known for their aromatic fragrance, mellow flavor and beautiful aesthetic value as well as the brilliant red liquor the brewed tea leaves produce. Keemun Tea is widely recognized as the best black tea in china, and also considered one of the best available black tea in the world, therefore, it is crowed as the “Queen of Black Tea”. The appearance of keemun black tea is slender and elegant, while brewed, its liquor is red and brilliant, and the taste is mellow. Sometimes, it has the obvious sweet and fragrance, sometimes with rose, also with honey and fruit fragrance. The special fragrance is regarded as the Keemun Scent by the tea lovers in home and abroad.